This clergy pectoral cross of medium size of an interesting shape is made of brass and covered with 24K silver-gilding applied by galvanic method. The crucifix is large, made using a special technology of applying a color image on a brass base and covered with a composition that protects it from mechanical damage and exposure to light. 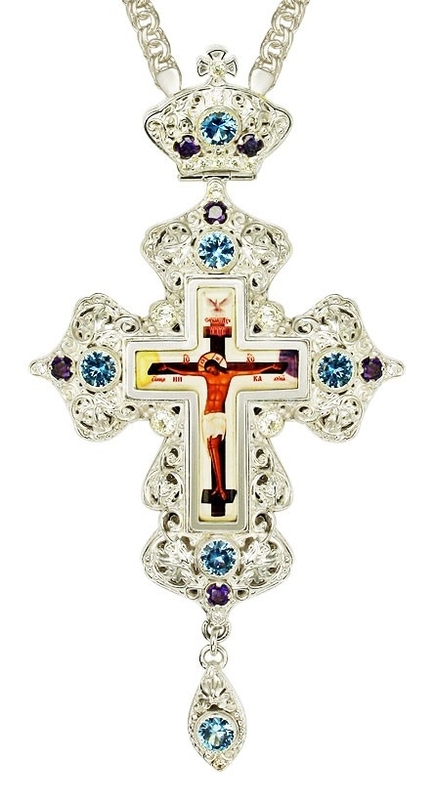 The cross is decorated with floral ornamentation, which is enriched with high-quality, different-sized cubic zirkonia. 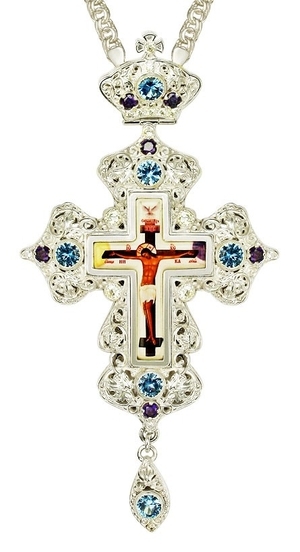 All stones are fixed by hand, so they are guaranteed to be in their seats at all times while wearing the cross.